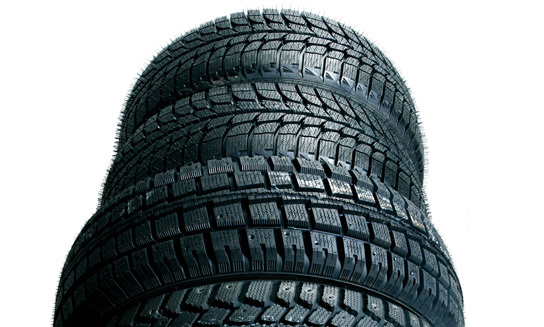 Kal Tire is Canada's largest independent tire dealer, offering a wide range of winter tires best suited for your vehicle. The reality of a Canadian winter is that the snow, ice and cold play havoc with our roads and conditions vary greatly across the country. Fortunately, though, over the years, tire technology has come a long way and winter driving no longer needs to be such a daunting experience. There are many options for winter driving these days that can fit any budget, but it’s still helpful to understand a few things about winter tires. What are the differences between winter, all-season and all-weather tires? Winter tires are designed with highly specialized rubber compounds that stay flexible in cold weather and have tread patterns designed to grip and bite into snow or ice. All-season tires are generally made out of a harder compound and lose their traction 7º C and below. All-weather tires are designed for wet, slush and snow. Get the facts with our tire type comparison table: Winter vs All-Weather vs All-Season Tires. Do I really need winter tires or will my all-season tires do? What if my car has traction control or ABS brakes? These are great developments in driving but neither provides more traction. ABS and traction control only help prevent drivers from over-braking or over powering the available traction of their tires. The only way to increase traction and get more grip and control is to install better tires. What does the snowflake-on-the-mountain symbol mean? This symbol distinguishes winter tires or all-weather tires from all-season tires. It helps consumers identify tires that meet the The Tire and Rubber Association of Canada Winter Traction Performance requirements by providing a higher level of traction in harsh winter conditions. This symbol is located on the sidewall of the tires. Learn more. Does it mean I don't need chains? While tires with the snowflake-on-the-mountain symbol meet severe winter traction standards, there still may be poor road conditions in severe snow zones where chains will be helpful or required, no matter what type of vehicle or tires are used. Learn more. What are the differences between all-season, all-weather and winter tires? All-weather and all-season tires may sound like they do the same thing but they are very different products. Throw winter tires into the mix and it can be a challenge to understand the differences. Get the facts on the right tires for you. Compare all-weather vs all-season tires vs winter tires.